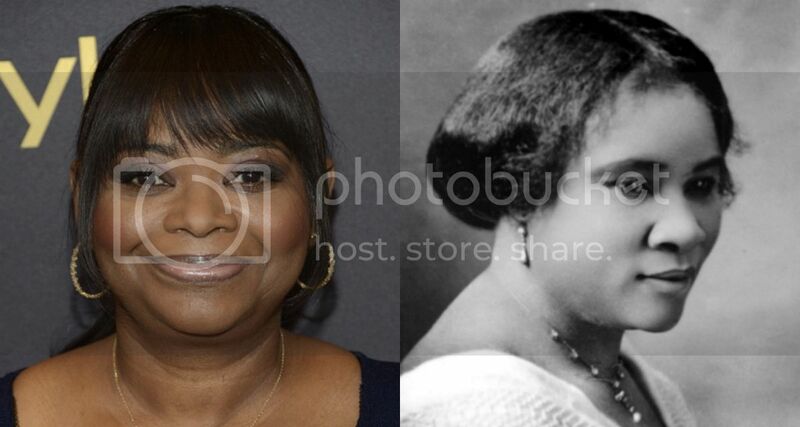 Oscar-winner Octavia Spencer is set to star as Madam C.J. Walker in a project based on popular biography of the mogul, On Her Own Ground. Spencer will produce the limited series, which has yet to find a home at a network. Kasi Lemmons (Eve's Bayou) will direct. Walker's story is a remarkable one. The haircare pioneer was born in 1867 to enslaved parents. Both were dead by the time she was seven. She married at 14 and was widowed at 20. Before she began her haircare company, she worked as a washerwoman. By the time she died in 1919, Walker was one of the richest Black people in the country. Spencer won an Academy Award for Best Supporting Actress for her role in The Help. She'll be seen next in Hidden Figures.